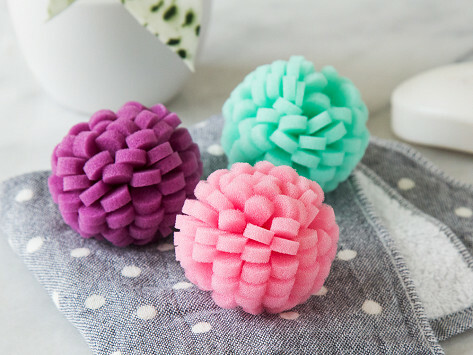 The patented petal-like design of these facial exfoliation buffs provides more surface area to clean and scrub skin, and it dries faster (and lasts longer) than typical sponges, too. This skin-pleasing trio deftly targets dry skin to leave your face feeling soft and clean. Good choices to pick from to personalize ur combination. This idea is very useful. It took too much of my expensive facial cleanser to lather up with this exfoliater. That makes this product uneconomical for me to use.